Read the article to understand the anatomy of ChumSearch virus and learn easy steps that will make the annoying browser redirects discontinue for good. Some of the infected Mac users have been noticing the ChumSearch redirect problem appear after an Adobe Acrobat Reader download. The vendor of said legitimate software is certainly not involved in any sort of drive-by promotion of third-party products. This is quite likely an evidence of a bundling scheme that the adware authors are leveraging to serve their bug. Sticking with official distribution channels in the course of freeware installs is therefore the rule of thumb to stay safe. Meanwhile, there are web resources that push popular apps along with malicious ones. The tailgating technique proved to be effective for ChumSearch threat propagation on a large scale, so mind what you download and where. The offending applet under consideration acts furtively as it changes the target Mac user’s Internet preferences. Because the adware is cross-browser, it doesn’t matter what type of web navigation software the victim uses. 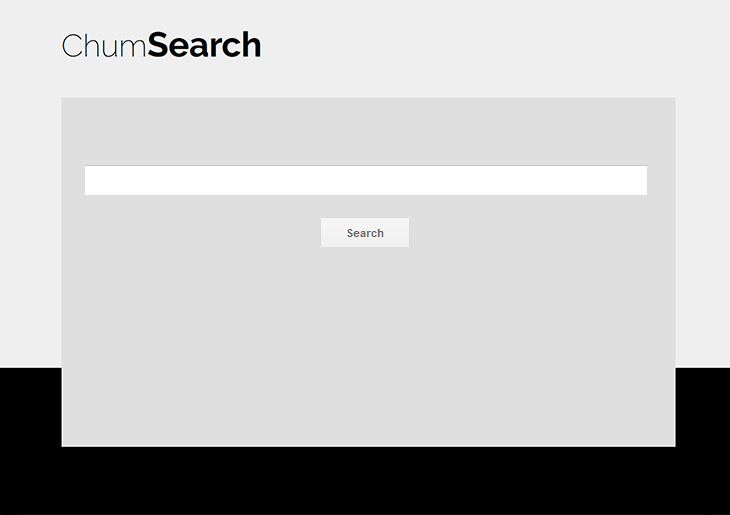 Whether it’s Safari, Chrome or Firefox, the default homepage and search settings will be changed to chumsearch.com. To top it off, the infection executes a script that will be triggering ChumSearch page randomly or after a click anywhere within the browser window. Not only is this activity annoying, but it also extends the websites loading time appreciably. This assault tends to be accompanied by ad injection. This is a malvertising technique that results in the display of coupons, price comparison blocks, banners and inline text on different web pages visited from an infected machine. This used to be a Windows-only phenomenon, but black hat hackers have been actively going after Mac OS X with quite a bit of success, obviously. Yet another adverse effect of ChumSearch is the harvesting of victims’ fingerprintable online data such as browsing history and logon instances. This means that one’s privacy is at risk, too. Below are instructions that will help eradicate ChumSearch adware and thus thwart the noxious redirects and ad serving. When confronted with malicious code like the ChumSearch hijacker on Mac, you can neutralize its toxic impact by leveraging a specially crafted system utility. The Freshmac application (read review) is a perfect match for this purpose as it delivers essential security features along with must-have modules for Mac optimization. This tool cleans unneeded applications and persistent malware in one click. It also protects your privacy by eliminating tracking cookies, frees up disk space, and manages startup apps to decrease boot time. On top of that, it boasts 24/7 tech support. The following steps will walk you through automatic removal of the ChumSearch virus infection. 4. Check whether the ChumSearch virus has been fixed. If the lock screen is still there, go to the Uninstaller option on Freshmac GUI. Locate an entry that appears suspicious, select it and click Fix Safely button to force-uninstall the unwanted application. 5. Go to Temp and Startup Apps panes on the interface and have all redundant or suspicious items eliminated as well. The ChumSearch.com fraud shouldn’t be causing any further trouble.